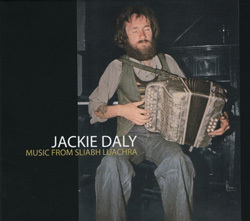 Released in 1977, Jackie Daly’s remarkable debut of music from the Sliabh Luachra, the mountainous border between Cork and Kerry, has long been recognised as an important landmark recording. It captured Daly at the peak of his powers and helped to re-establish the accordion as an important instrument in Irish music. 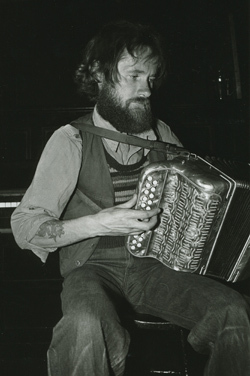 From this impressive beginning, Jackie went on to play with the cream of Ireland’s musicians in such seminal groups as De Danann and Patrick Street and build a reputation as “the” Irish button accordion player – in other words the best in the world. 10Â Slides: Trip To The Jacks/ Where Is The Cat?